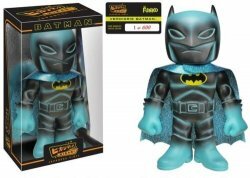 Funko Hikari Japanese Vinyl Sofubi hand-made and crafted Batman Verdigris Hikari Glitter Previews Exclusive Vinyl Figure. Funko. Limited Edition Only 600 pieces made worldwide! Batman never looked so stunning! 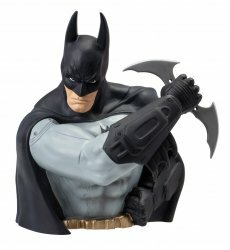 Designer vinyl figure stands about 6 1/2-inches tall. Verdigris green pigment glows in the clear packaging! The Caped Crusader has never looked quite so stunning! Standing about 6 1/2-inches tall, this Batman Verdigris Hikari Glitter Sofubi Previews Exclusive Vinyl Figure looks fantastic, and when you put him in his clear packaging, his verdigris green pigmentation even glows! This designer figure from Funko is limited to only 600 pieces, so you'd better order yours now!